More often than not, it's the heroes that get much of the spotlight while the bad guys go down in defeat. 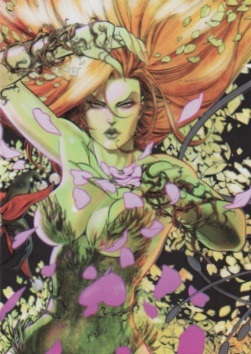 2015 Cryptozoic DC Comics Super-Villains trading cards flip things, focusing on all things wicked and evil in the DC Universe. 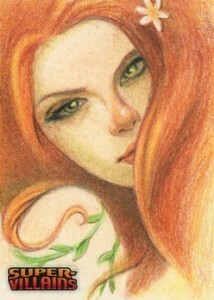 Highlights include a sketch card in every box and a variety of other inserts. 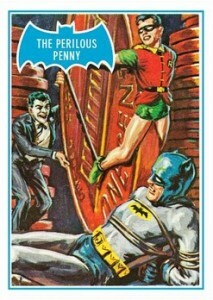 The 63-card base set delves deep into the antagonists that try to outsmart and out-hit the likes of Batman, Wonder Woman and Superman. 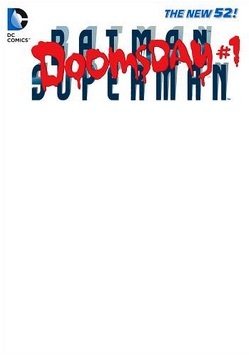 It's about Lex Luthor, The Joker, Harley Quinn and the dozens of other nefarious and colorful characters that lurk in the shadows. 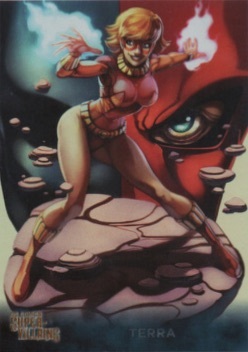 Card backs are written by DC veteran, Adam Beechen. 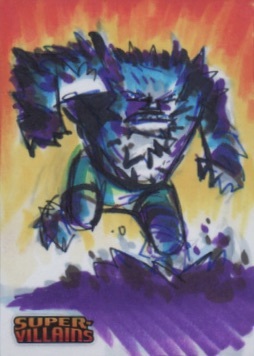 As with the company's other sets of comic trading cards, every box of 2015 Cryptozoic DC Comics Super-Villains comes with a sketch card. Besides the regular versions, there are also Hall of Doom Die-Cut Sketch Cards that are inserted 1:288 packs. The Totally Fabricated line continues with swatches of costumes, if the comic characters were real. Since the beginning, this insert line has been up front about the tongue-in-cheek approach that has led to several popular cards. Totally Fabricated cards are inserted 1:192 packs. Cryptozoic is upping the number of basic inserts it typically offers. 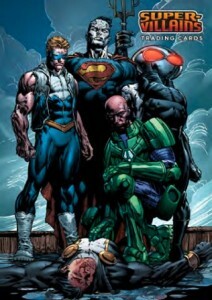 DC Comics Super-Villains has four such sets: Crime Syndicate of America, Forever Evil, Noir and Sirens. On top of these, basic inserts and the base set all have Silver, Gold and Printing Plate parallels. 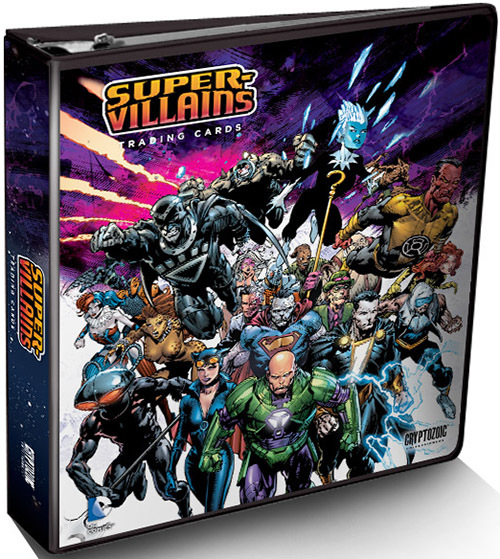 Every box of 2015 Cryptozoic DC Comics Super-Villains also has a Forever Evil box topper. Sold separately, a binder comes with an exclusive Totally Fabricated card not found in packs. 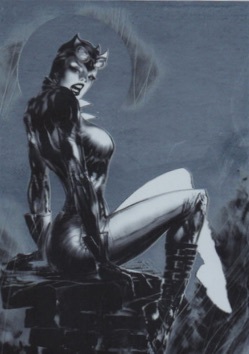 2015 Cryptozoic DC Comics Super-Villains Cyan Printing Plate 30 Giganta UNIQUE! 2015 Cryptozoic DC Comics Super-Villains Color Sketch card Hush Bill Maus RARE! 63 cards. Shop for base sets on eBay. The following is a list of artists who contributed to the release. 9 cards. 1 per box. Good: One-of-one sketch in every box, impressive comic artwork, insert variety is great. Bad: Price point is on the higher side for what it delivers, base parallels are a letdown. 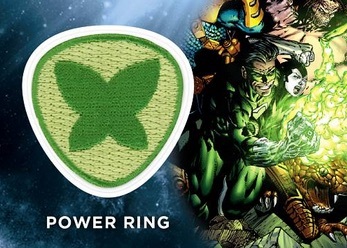 The Bottom Line: While it is still more of a niche offering, 2015 Cryptozoic DC Comics Super-Villains really includes a lot in one box, and not exclusively for comic fans. A guaranteed sketch gives hit collectors something to expect while those that skew a bit evil in their superhero support or just appreciate animated artwork should also enjoy the villain image quality. 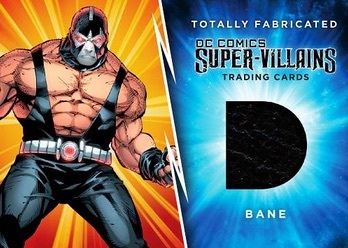 This should not be shocking, but the card design in 2015 Cryptozoic DC Comics Super-Villains is geared entirely around the artwork. Beyond the comic images, the only other aspect of the base design is a small title area at the bottom alongside the brand logo. A helpful aspect given all the villains covered, each back for the base gives a brief rundown of the character straight from Adam Beechen. 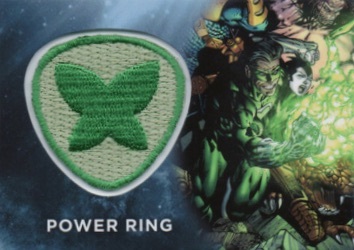 I will say the parallels were a little disappointing with just a logo foil change. They are also easy to miss when going though the cards. I am not sure why the full foil parallel was not extended to the base like it was for the chase inserts. A nod to the past, I appreciated the 1966 Topps reissues that are brought into modern times with Cryptomium technology. Admittedly, It was a little weird to see Cryptozoic showcase another brand’s cards. The rest of the standard inserts feature the base finish but do offer a foil parallel that really looks great. Again going all-in on vivid artwork, Sirens and Crime Syndicate of America are both puzzle inserts that form a larger image. I particularly enjoyed the contrasting look of the black-and-white Noir cards. 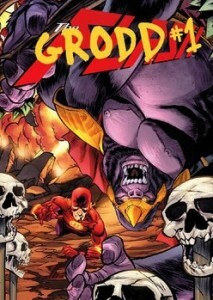 Forever Evil takes the comic connection a step further with #1 issue covers for several subjects. Outside of the reprints, the main inserts all fit the theme of the set but with their own identity. While the manufactured relic seems to have a mixed response in the hobby, given the limitations of sets like this to include any non-sketch hits, I think the Totally Fabricated and Replica Patch inserts are a creative solution. 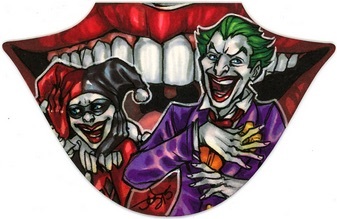 I personally was not as intrigued by the Forever Evil Blank Toppers but I can understand that would appeal to aspiring artists to fill in their own image or so collectors could commission their favorite artist to complete. Plus, the larger box-topper size offers a bigger canvas to work with. If you did not already know, there are a ton of DC Comics villains and many are in this set. In addition to plenty of familiar characters, I learned about several new ones. All things considered, 2015 Cryptozoic DC Comics Super-Villains has a deep checklist and that includes the base and the many inserts. I was also pleased that one box yielded a full base set as well as complete chase sets for Crime Syndicate of America, Forever Evil, Noir, and Sirens. This is the main area where 2015 Cryptozoic DC Comics Super-Villains struggles to deliver as the content is more collectable than valuable. With no autographs to chase and the only hit being the one sketch per box, the average box relies almost solely on that hand-drawn artwork. Given there is one in every box, that means there are a fair amount of these in circulation. Even though they are each one-of-one cards, you have to pull a quality drawing to be able to come close to matching the box price. However, complete base and insert sets do help the overall value as does the shot at more limited inserts. 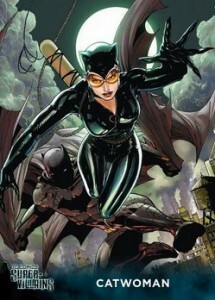 I really liked this set and I am not even a comic book collector. That alone should tell you the product was fun for me. The insert variety helped enhance the base set without feeling repetitive and the sketch from Thomas Boatwright was very cool. 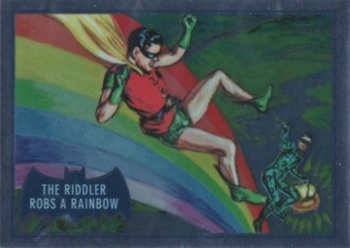 I am also a sucker for chromium/foil and the box yielded several of these as inserts or insert parallels. In addition, the completist side of me enjoyed the full base and several complete insert sets. I even lucked out and ended up with an insert that was not guaranteed. At 1:4 boxes, the Replica Patch cards are not an easy pull and that was a fun surprise. The box used for this review was provided by Cryptozoic.